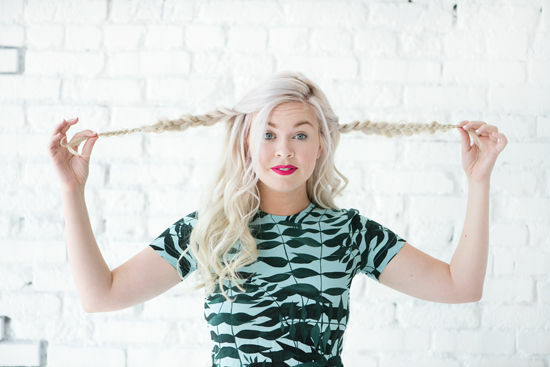 D E S I G N L O V E F E S T » 4 HAIR STYLES UNDER 4 STEPS! 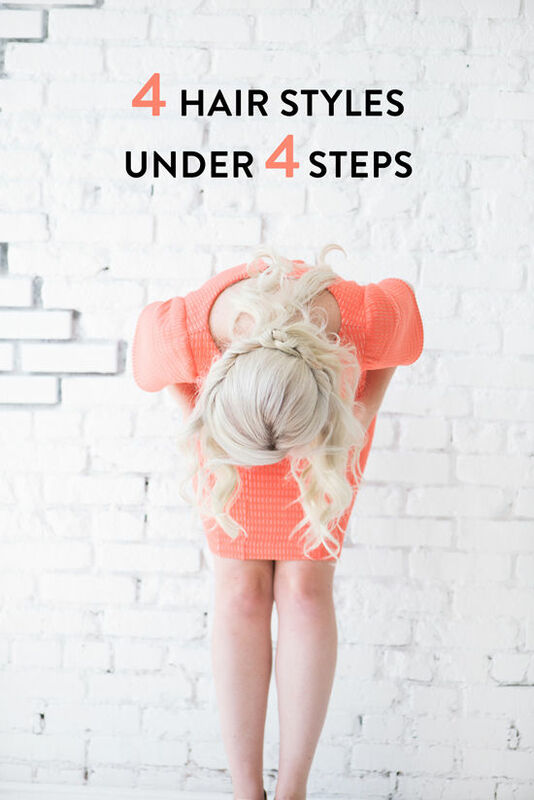 4 HAIR STYLES UNDER 4 STEPS! 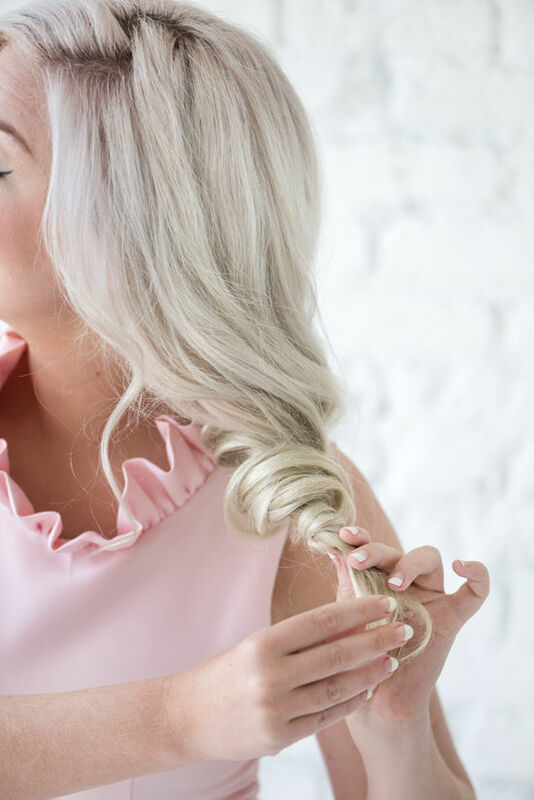 my hair routine is pretty simple, most of the time i like to keep it all natural but i always appreciate the way a different hair style can mix up someone’s look or take a basic outfit and make it a little more glamorous. 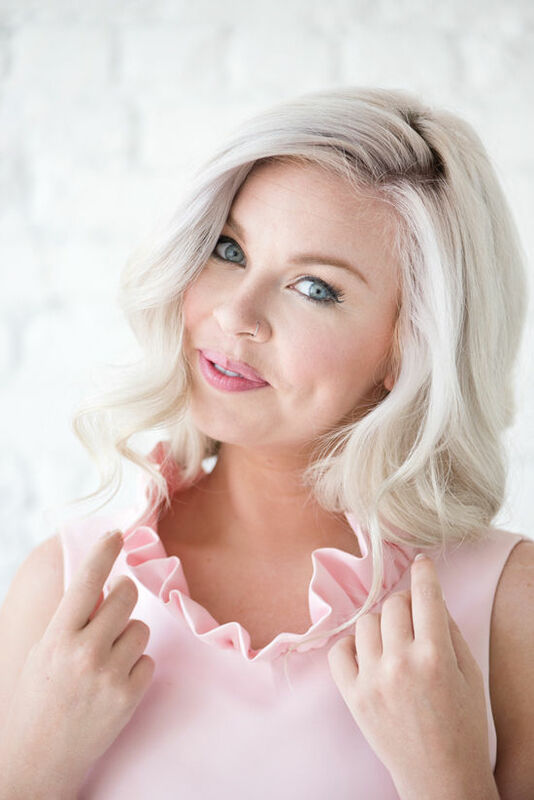 i asked my friend ashley to come up with four different hair tutorials that could be created in less then four steps. (if i’m gonna do my hair, it’s gotta be easy!) take a peek and let me know if you try one, i’d love to see! i think my favorite was the knotted ponytail. it’s so easy, it’s laughable. 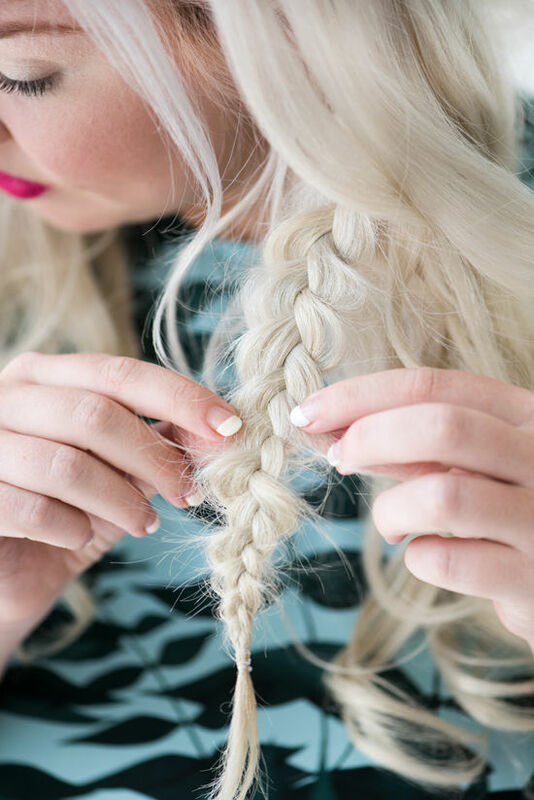 • take a strand of hair from both sides & create a loop on the left side. 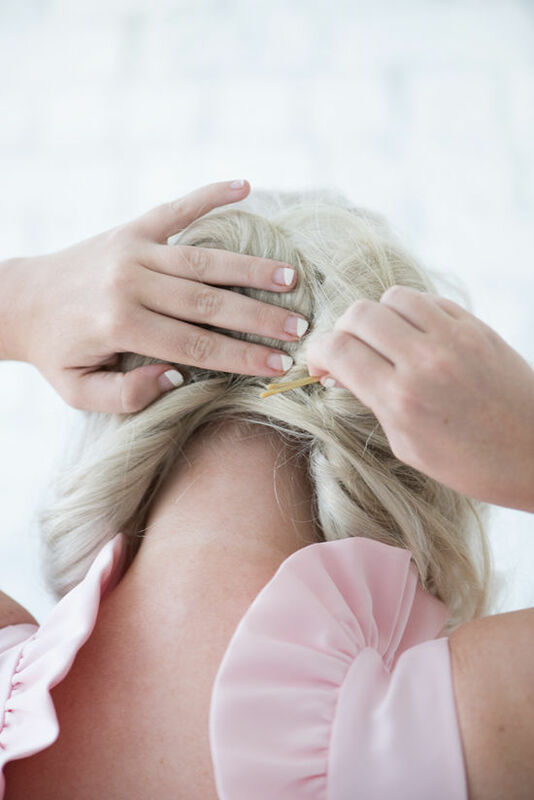 • take the end of the right section and go over and under the left section of hair. 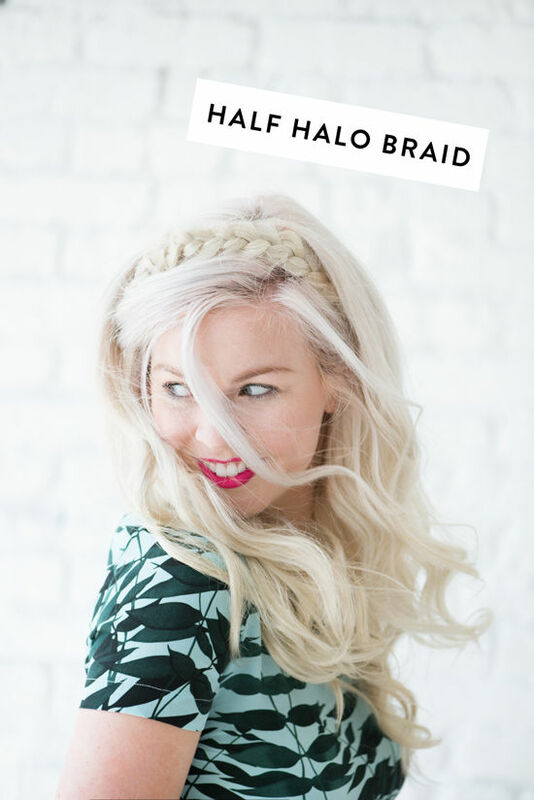 • taking that same section of hair pull it through the loop you created with your thumb & pull to create a knot. i love this half up look and the contrast of the soft feminine waves with a more structured interlocking twist. 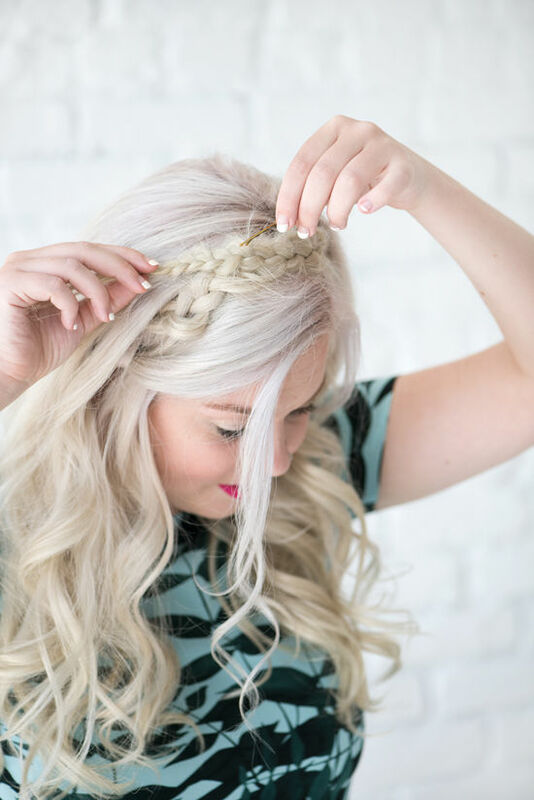 • create 2 small braids, one above each ear. 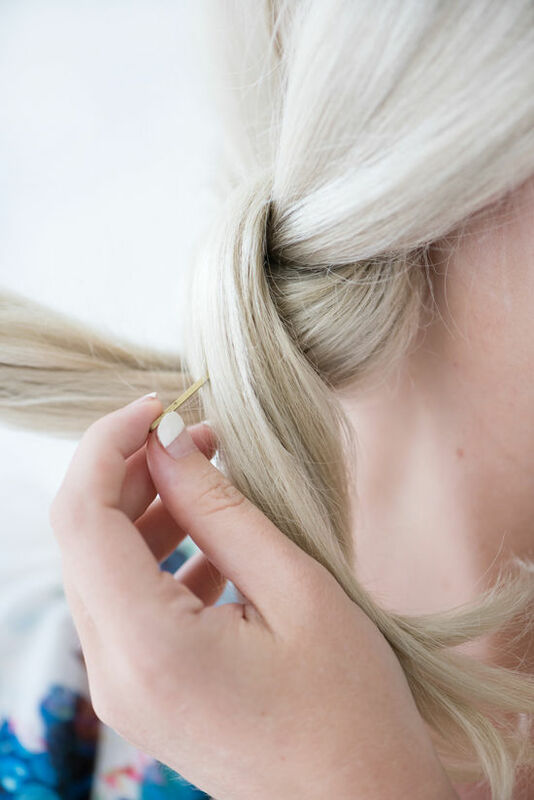 • using hairpins pull both braids up and around crown area and pin. braids are always a win, they can be used in so many different ways and they actually stay put once you pin them which is plus. 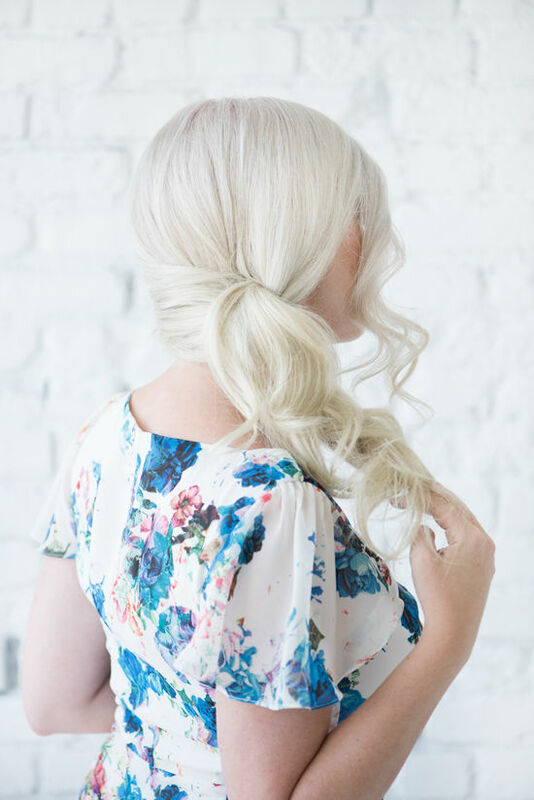 • gather all of your hair like you’re going to create a low ponytail & twist to one side. i love how this look feels instantly glamorous and very 60’s. i sometimes debate wanting to cut my hair short but this look gives you the best of both worlds. 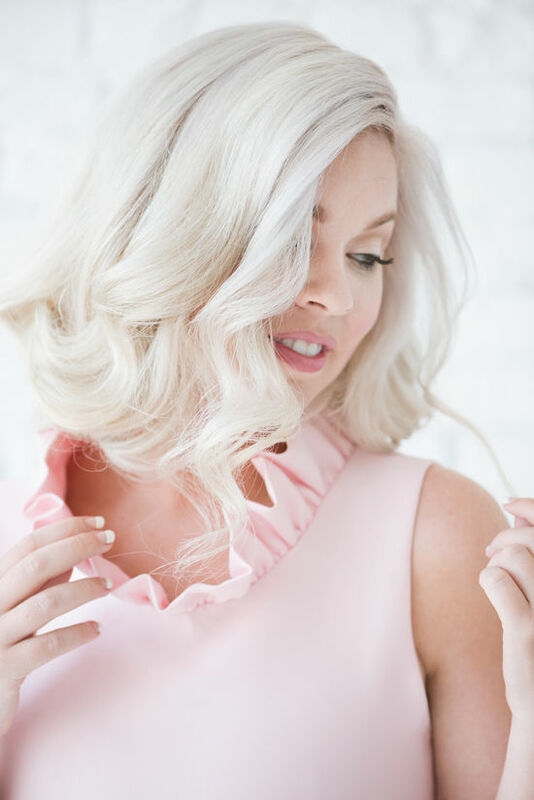 and, it paired perfectly with the pale pink peony dress by camilyn beth which felt very ladylike. 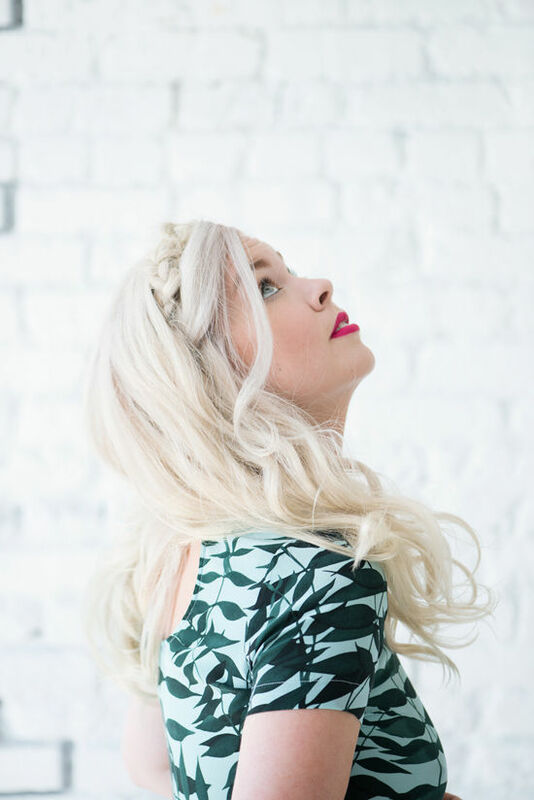 this hair look feels very california cool, laid back but also fit for a fancier occasion like a wedding or date night. These are really lovely Bri. I recently donated my long hair to cancer (well, for wigs, not literally to the disease but you know what I mean), and I can’t wait until it grows back! And then, murphy’s law, I’ll most likely find lovely short hair tutorials… such is life 🙂 But I’ll definitely come back to these! I love the styling – the outfits and makeup are perfect! Please share sources for all of the outfits! They are so cute! I love them all! The knotted pony looks so cool and classy; I think I’m going to try it for a gala I’m going to this weekend! And I’m so with you on if I’m gonna do my hair…it’s gotta be easy! 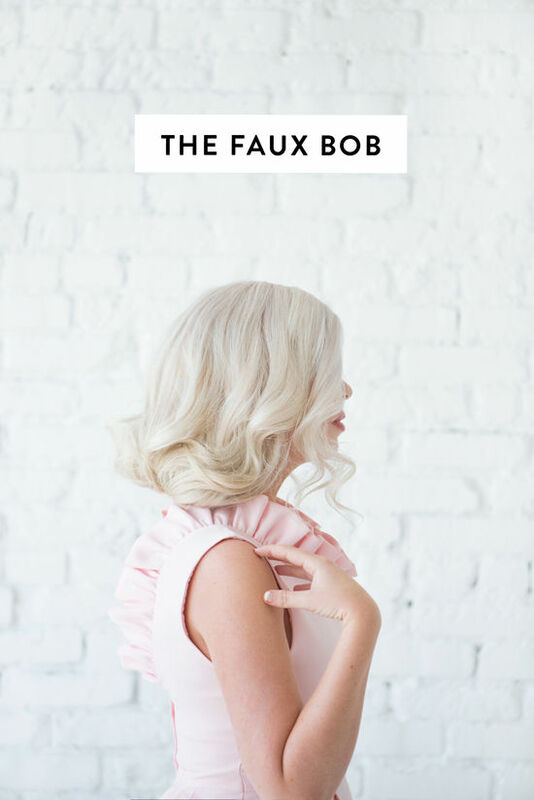 I’m so trying the faux bob move on my upcoming trip! I just love every single one of them! Perfect! And I love the colour and the texture of your hair. It looks so voluminous! I agree with Chelsea, bombshell status! Pretty sure you’re the cutest person ever, Bri. for the life of me I cannot figure out the celtic knot. 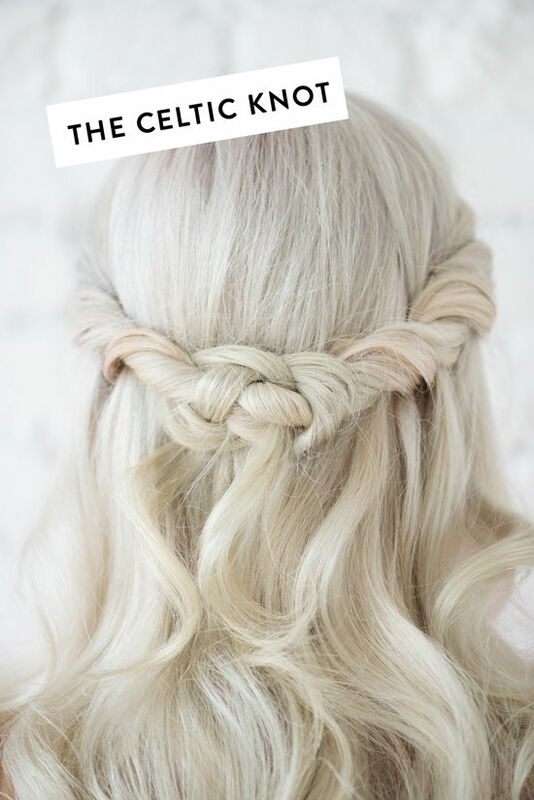 it’s so pretty and I want to try it – can you break down the steps in pictures a bit more or link to a tutorial that breaks it down for those that might be not-so-good at doing hair? Yes please! the celtic knot looks so pretty but I can’t figure it out! I absolutely love your entire look for the last style. You look gorgeous!! Absolutely lovely series! You look radiant! 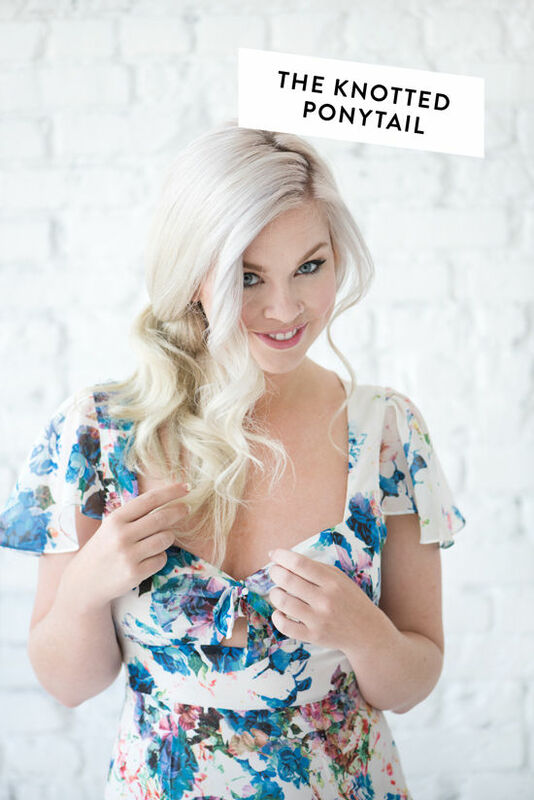 If you don’t mind me asking, where is your floral dress from in your “Knotted Ponytail” photos? Hi I was hoping you could do a video tutorial of the celtic knot with the head twisted band that is seen in the picture. I have the knotime down but can’t figure out how to do it with the twist. 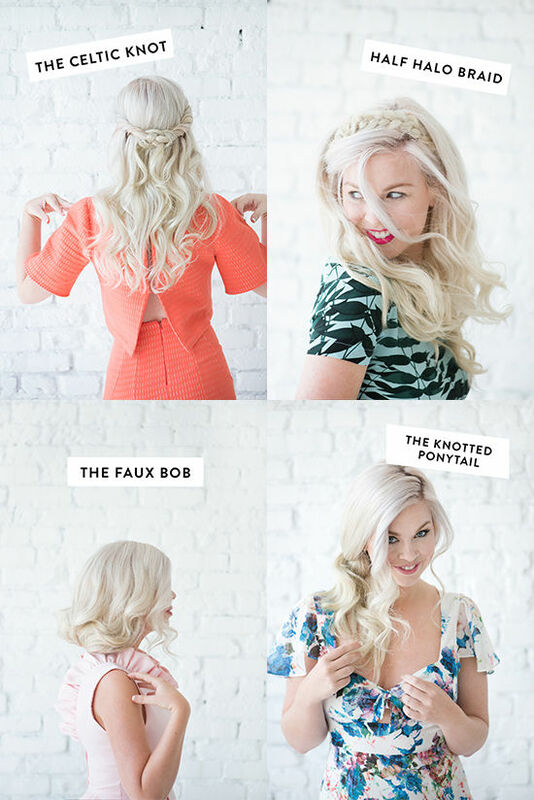 Fantastic hairstyles but for me, my favourite is the faux bob! stunning!